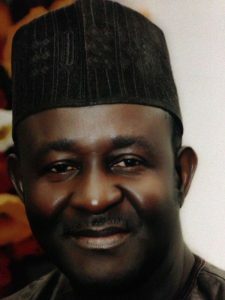 Former Adamawa gov. Bala Ngilari sentenced to five years imprisonment – Royal Times of Nigeria. Adamawa state High court has sentenced former Adamawa state governor, Bala Ngilari to five years imprisonment. The case against Ngillari was filed by the ruling All Progressive Congress government led by Mohammed Jibrilla. Justice Nathan Musa convicted Ngillari to five years imprisonment while discharging and acquitting the other two accused persons, Sanda Lamorde and Ibrahim Welye standing trial with him. The judge in his ruling based his conviction of the former Governor on section 58(5) of the Public Procurement Acts, saying; “the law hands of the laws are tied to convict any person found guilty of breach of procurement acts to be sentenced to less than five years imprisonment. Mr Ngilari has, however, said he will exercise his rights to appeal while welcoming the judgement in good faith.